These 1 inch Twin Loop Wire Binding Spines (2:1 Pitch) will allow you to wire bind presentations, reports, manuals, proposals and more up to 220 sheets thick on 20# paper. They are designed for 2:1 wire binding machine owners who create larger size wire binding presentations. Our twin loop wire binding supplies are equivalent to GBC and Fellowes wire binding elements. The only major difference is the cost savings that you will enjoy! Twin Loop Wire Binding Supplies are fast becoming more popular as wire binding presentations have a more professional look and appeal. Our twin loop wire binding supplies are manufactured of top quality wire ensuring a more durable longer lasting bound document. Twin Loop Wire binding supplies are also referred to wire-o, double o wire, double loop wire and wire combs. These twin loop wire binding supplies are 2:1 pitch. They are compatible with a wire binding machine that punches 21 holes on the 11 inch side of your paper. Standard 2:1 pitch wire will allow you to wire bind presentations from 126 to 280 sheets. For smaller size presentations please refer to our 3:1 pitch wire binding supplies. Our Twin Loop Wire is equivalent to the wire binding spines offered by GBC and Fellowes. The main difference is the cost to you. They come in numerous sizes and colors to match or enhance your presentation needs. 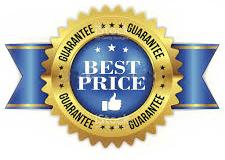 With our Guaranteed Lowest Pricing plus the additional savings you'll enjoy with our quantity pricing offers nobody saves you more money on high quality Twin Loop Wire Supplies than Laminator.com.